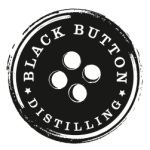 Black Button Distilling is a departure for the Barrett family who has, for four generations, produced the finest buttons for mens’ suits. 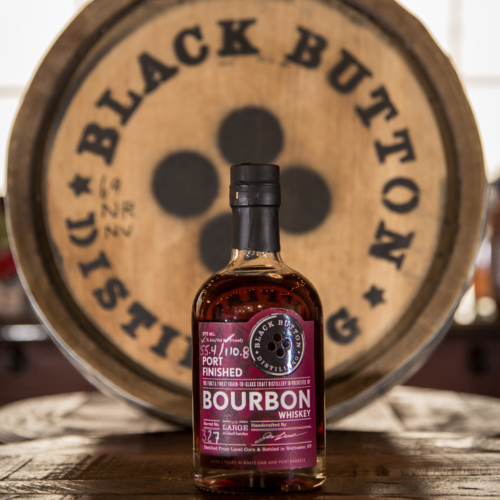 Taking some of the lessons learned in the button factory and applying them to the world of small-batch distilling, Black Button Distilling pays homage to this family tradition in a new way. They still work hard, create with their hands and are committed to quality - and their output speaks for itself. 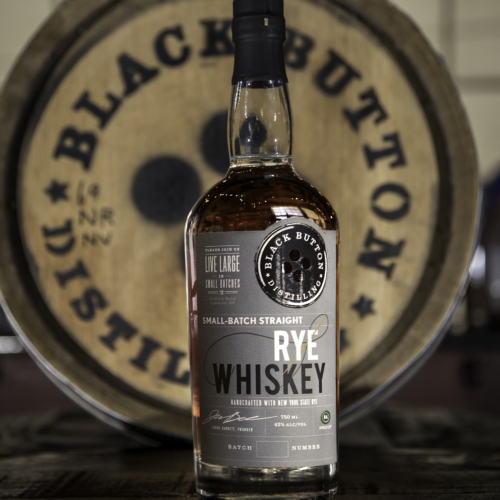 Black Button is a 100% grain to glass facility working with only NY grains, proof of their strong ties to local agriculture. Tours, Tastings, Cocktails and Private Events available Tuesday through Sunday. 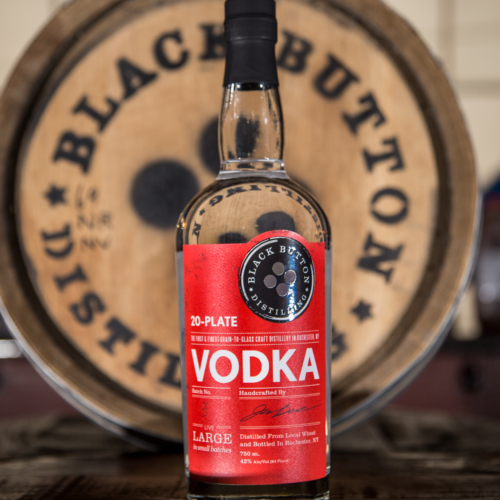 Black Button 20-Plate Vodka is a surprisingly smooth foundation you can build your drink and your evening on. 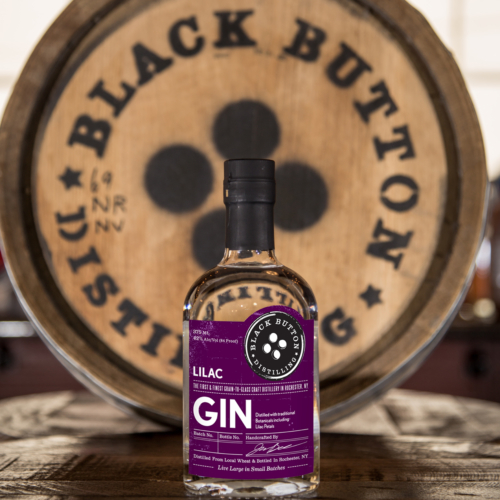 Black Button Wheat-based Vodka is made from soft white wheat grown on a family farm situated on the western slopes of Conesus Lake. It is this local grain that gives us the smooth taste, body, and feel that every distiller desires for their Vodka, and we are proud to have such desirable grain growing right here in the rich soil of the Finger Lakes Region. 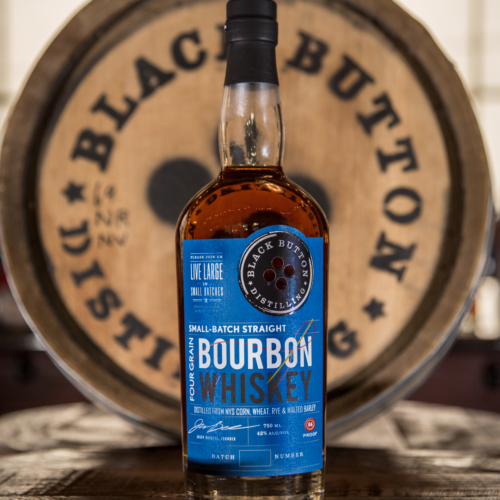 Black Button Four Grain Bourbon is 60% Corn, 20% Wheat, 9% Rye, 11% Malted Barely and 100% NY state grown and distilled. Experience the product that captured my heart and the reason I’m dedicated to craft distilling. Perfect for a Manhattan, an Old Fashioned or just on the rocks. So sit back, relax and try the new definition of quality American Bourbon. 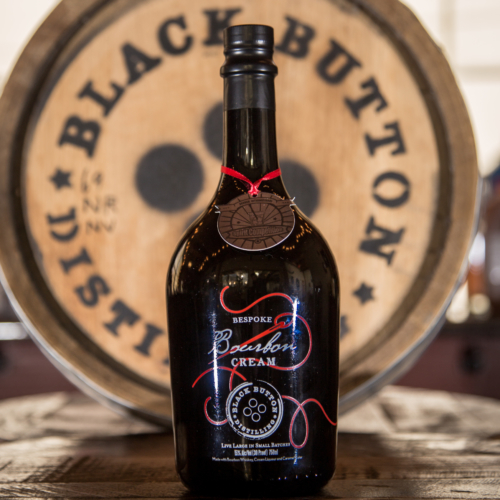 A warm welcome to the newest member of the Black Button product line, Bespoke Bourbon Cream. The only farm fresh, New York State bourbon cream around, Bourbon Cream is similar in concept to an Irish Cream. The bolder vanilla and caramel flavors make this a unique spirit that can be used on its own, in a cup of coffee or in a cocktail. We recommend trying it in a root beer float! This spirit is great for the fall, winter and all year round! Our version of this staple of American drinking culture is rich and bold. Enjoy it neat, on the rocks or in a great cocktail. 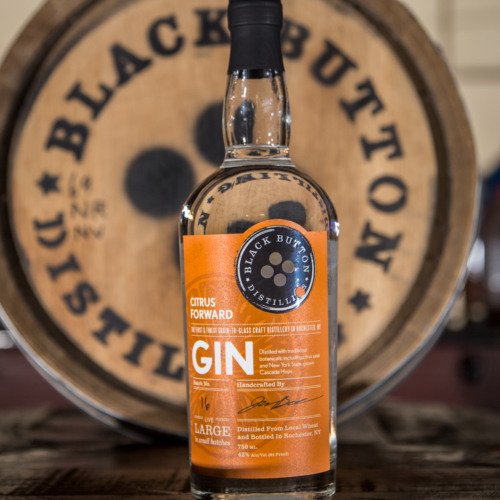 This spirit — made with the best local ingredients — truly represents the best of what Black Button Distilling has to offer. Made once a year in a small batch, flower petals are steeped, distilled and recombined to create a light, delicate flavor.